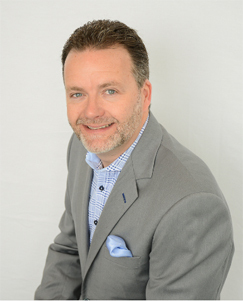 Why buy a used car in Hamilton? One of the biggest disadvantages of buying a new vehicle is the amount of depreciation it receives immediately after driving it off of the lot, up to 10% according to many statistics. This very fact can also be seen as a positive one if you look at it from the side of someone buying a used car. It means you can get one that’s like new, but at a much lower cost. Buying used vehicles can come with it’s own set problems if you’re not careful, but at Budds’ BMW Hamilton we inspect every pre-owned vehicle to be sure it meets our strict standards of quality before putting it up for sale. If you’re still a little unsure about buying pre-owned, we’ve got the perfect solution for you. 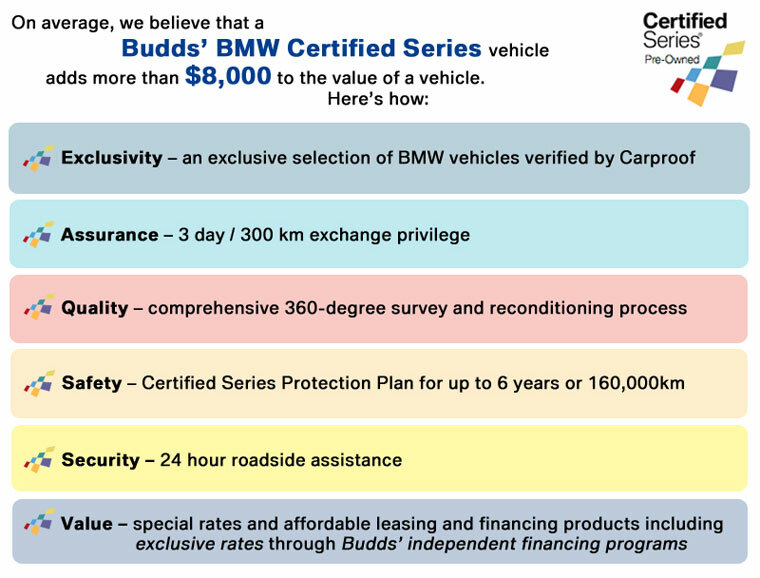 We only allow the highest quality used cars to be included in the Budds’ Certified Series. We invest on average $3000 into each Certified Series vehicle to ensure it meets our tough standards. If a car cannot be fixed or is not of the absolute highest quality, it will not be certified. With the added Certified Series Protection Plan, 24-hour roadside assistance and a few other goodies thrown in, we estimate all of our certified pre-owned vehicles to have an increased value of $8000 on average. There’s no better place than Budds’ BMW Hamilton for all of your BMW service needs. Whether you bought it from us or another dealership, you’ll still receive the same high quality service our customers have come to expect. When you choose us, you get the comfort of knowing we’re not only looking after your car, but you as well. We offer several transportation services so you don’t get caught stranded while your car is in the shop. Do you want your used car to stay looking brand new? Don’t just wash it, book an appointment for our deep cleaning spa experience. Your BMW deserves to be pampered once in a while. We offer service 6 days a week, a Wi-Fi hotspot, complimentary refreshments, 24-hour roadside assistance and we only use genuine BMW parts. We even throw in a free vehicle wash every time you come in for service. For all of these reasons and more, no one else compares to Budds’ BMW Hamilton.